Shmuel (Géza Röhrig), a Hasidic cantor in Upstate New York, is distraught by the untimely death of his wife, Rivkah. As he struggles to find solace in his religion, which proffers a stringent timeline for grief, Shmuel grows increasingly haunted by visions of Rivkah’s decomposing corpse. After awakening one morning atop her grave, Shmuel insists that, to stop the feverish spiral, he must seek an actual understanding of the physical processes of her decay. 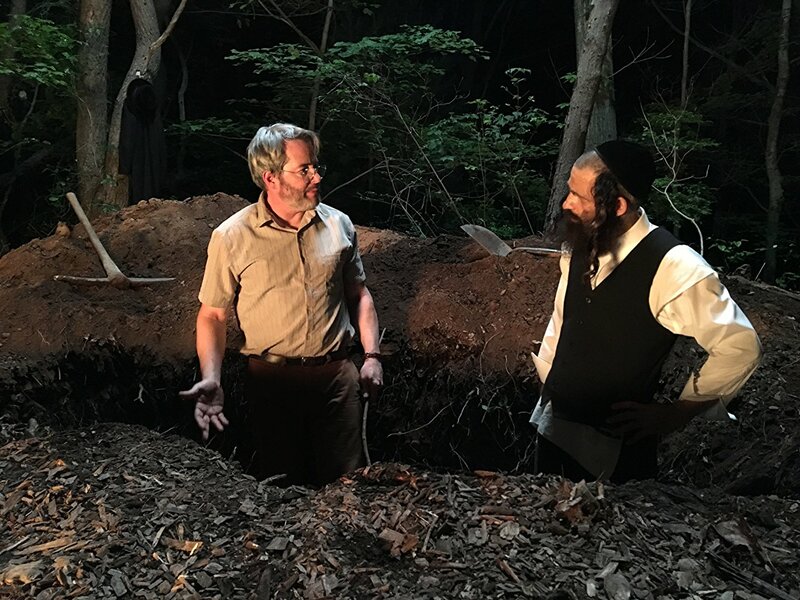 Risking discovery and expulsion, Shmuel finds Albert (Matthew Broderick), a bumbling biology professor at the local community college. As amateur scientists practicing imperfect science and incompetent criminals on progressively absurd outings, the two find themselves neck-deep in genres in which neither of them belongs. Shawn Snyder grew up in South Florida. Recently completing studies at NYU’s Graduate Film Program, he is a former IFP/Marcie Bloom Fellow, a current Sundance Institute Feature Film Fellow, and was named one of Filmmaker Magazine’s “25 New Faces of Independent Film” in 2016.